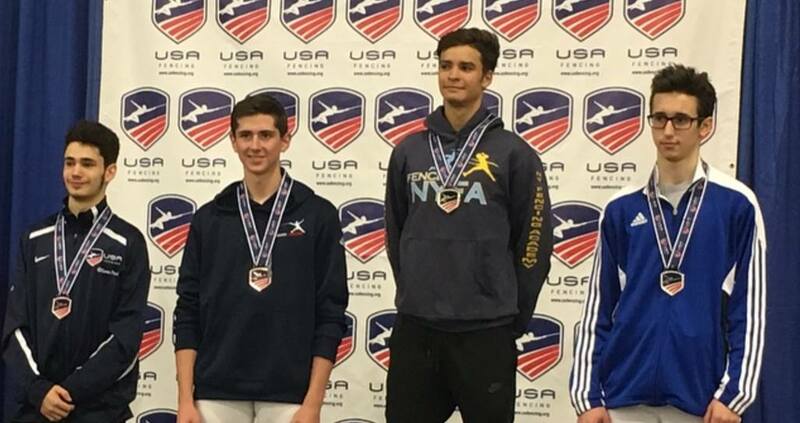 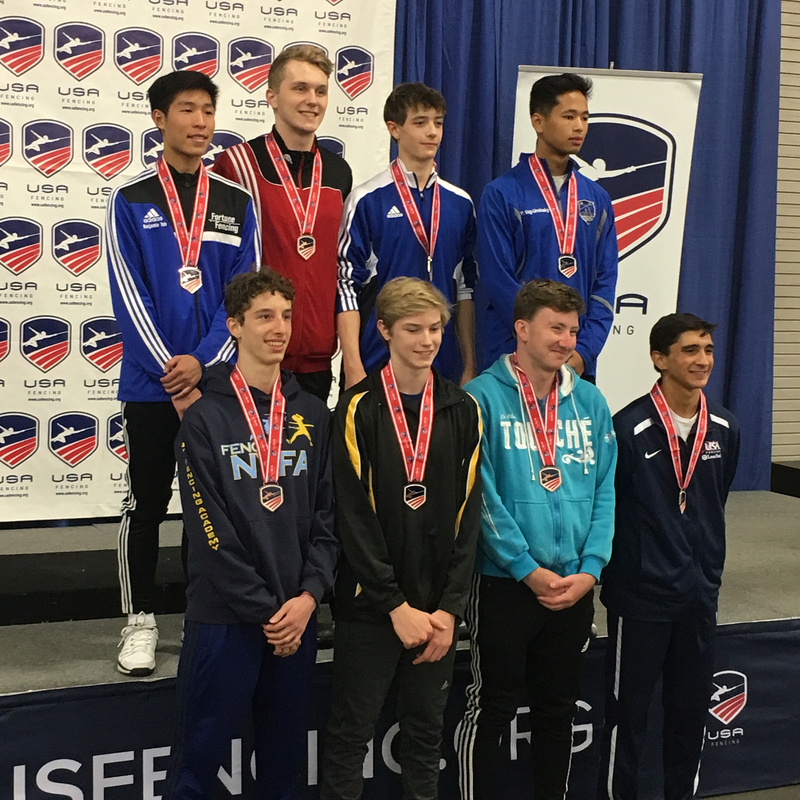 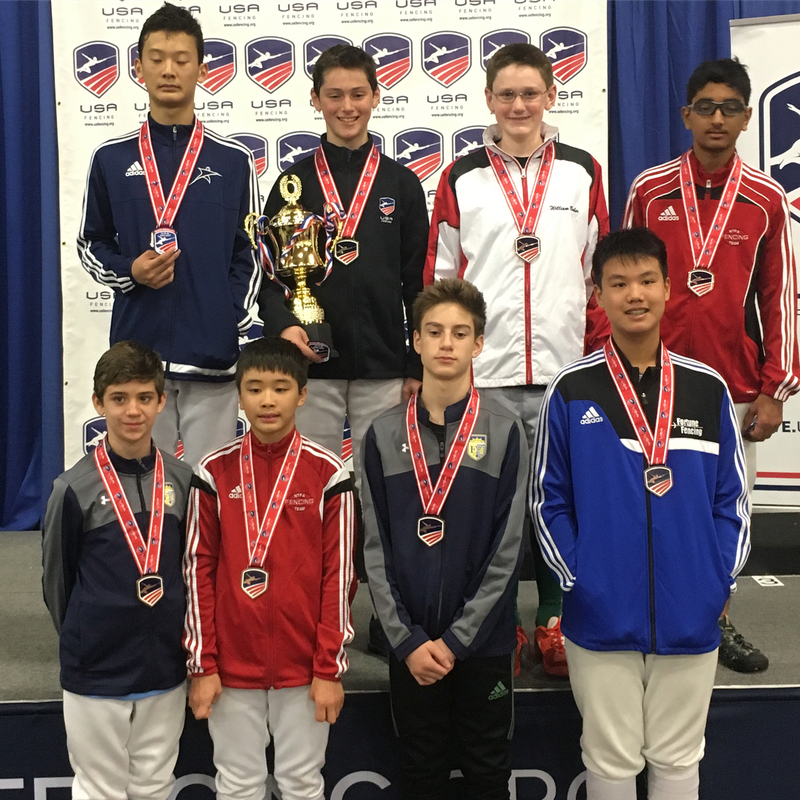 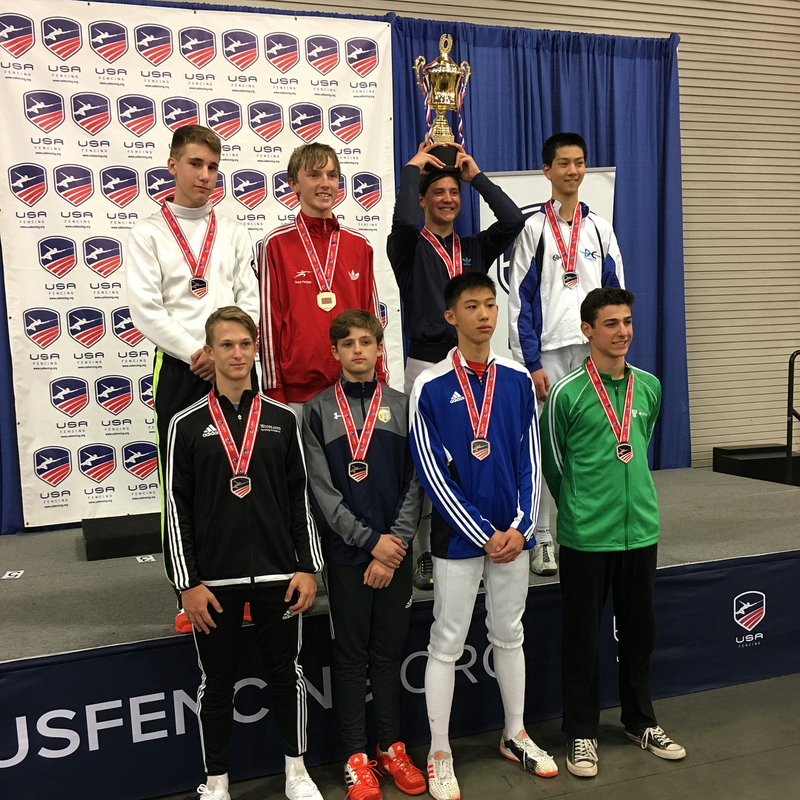 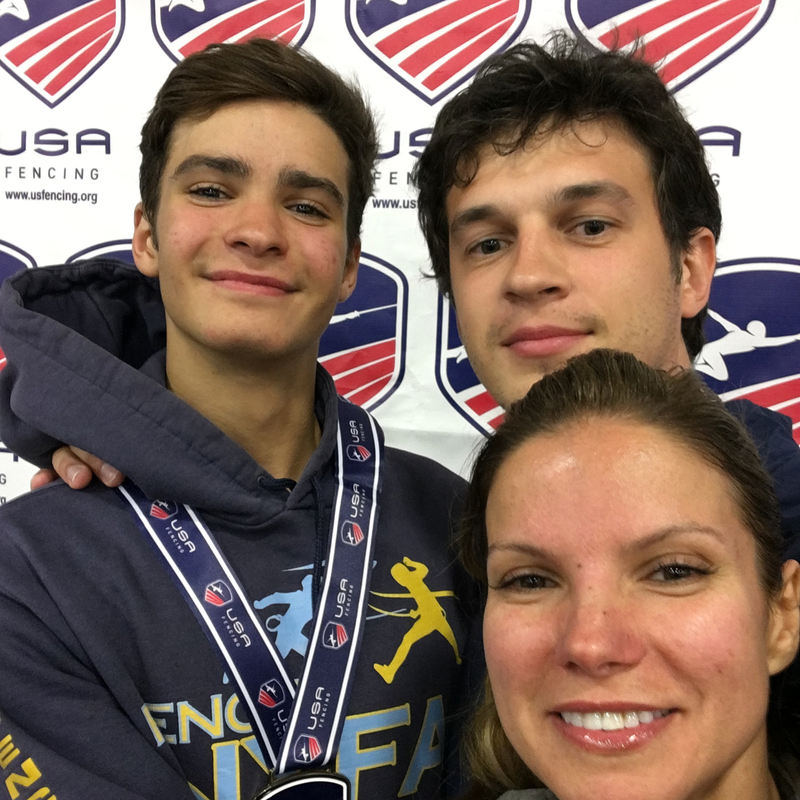 Our outstanding fencers earned 11 medals at the 2017 Summer Nationals in Salt Lake City! 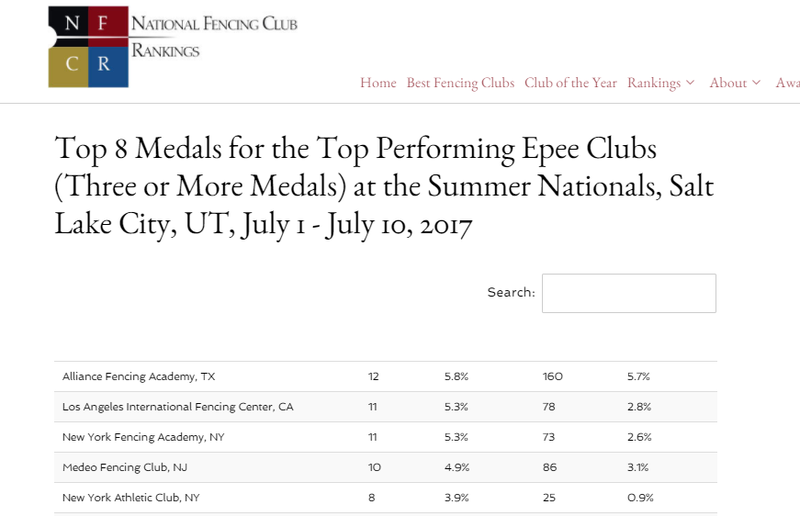 Again, we set a new record for our club and earned the most epee medals of all clubs in New York! 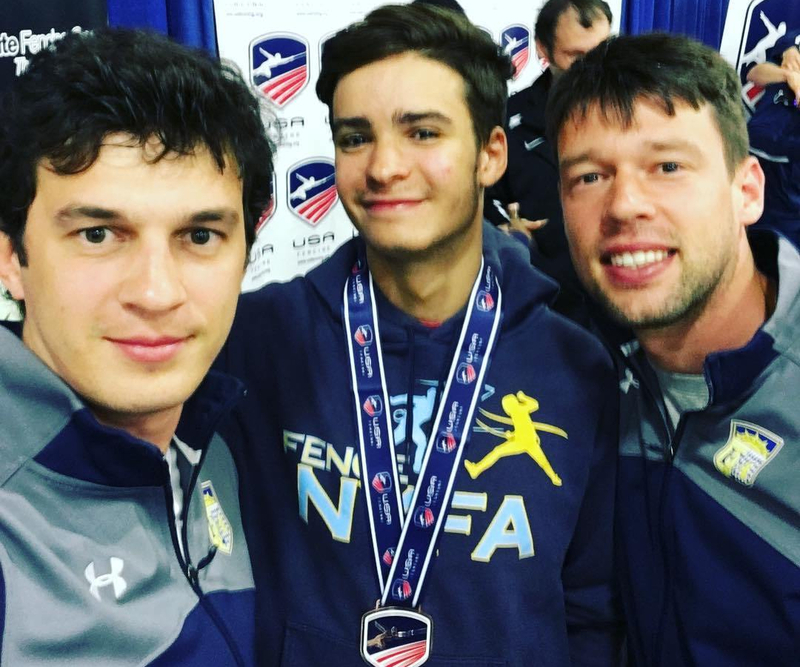 We were just 1 medal short of #1 in the US. 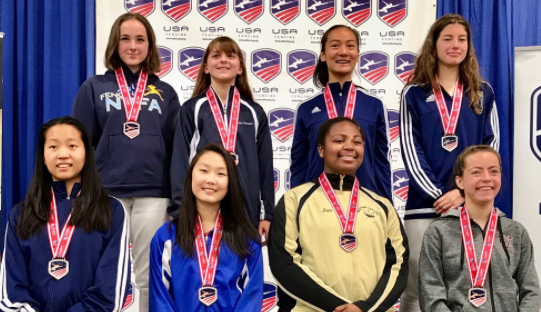 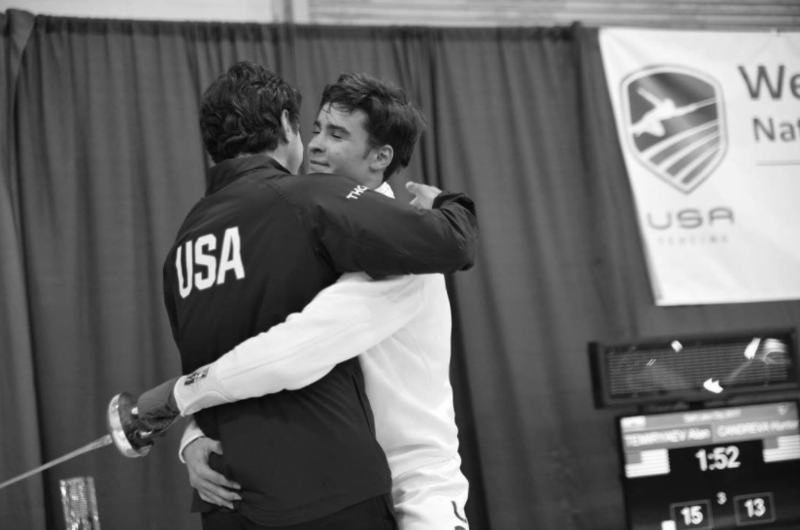 To all who represented NYFA on or off the podium, thank you for your hard work and support, and congratulations to all of our fencers for showing your mettle on the strip. 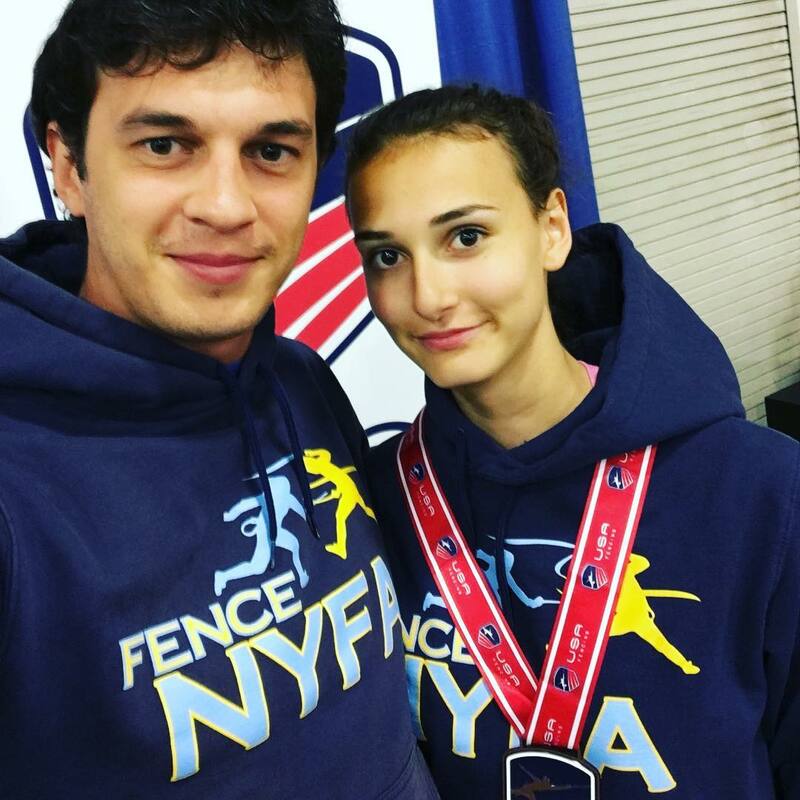 You make us very proud to be Team NYFA! 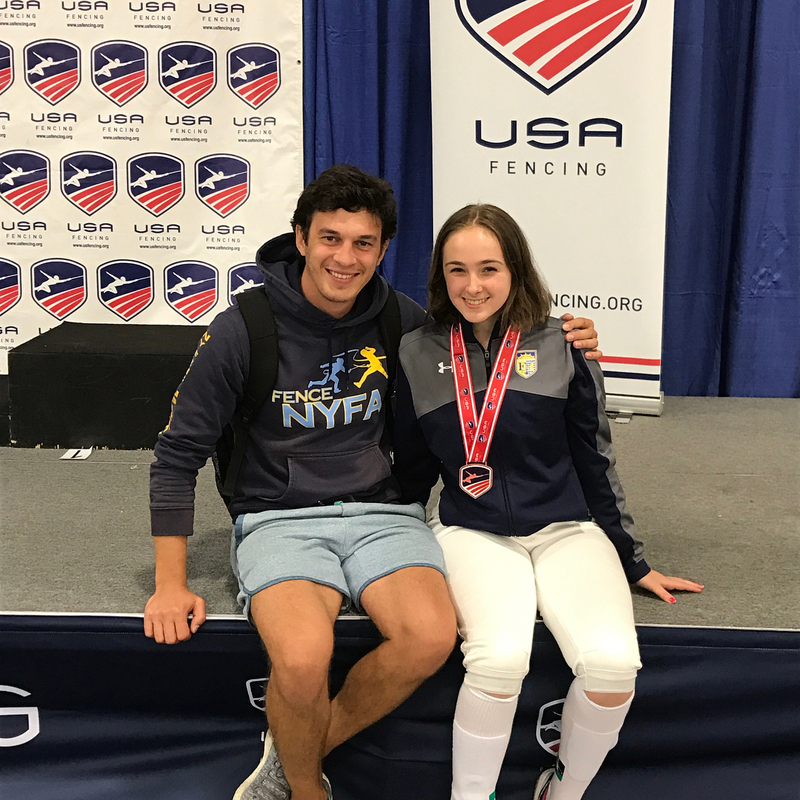 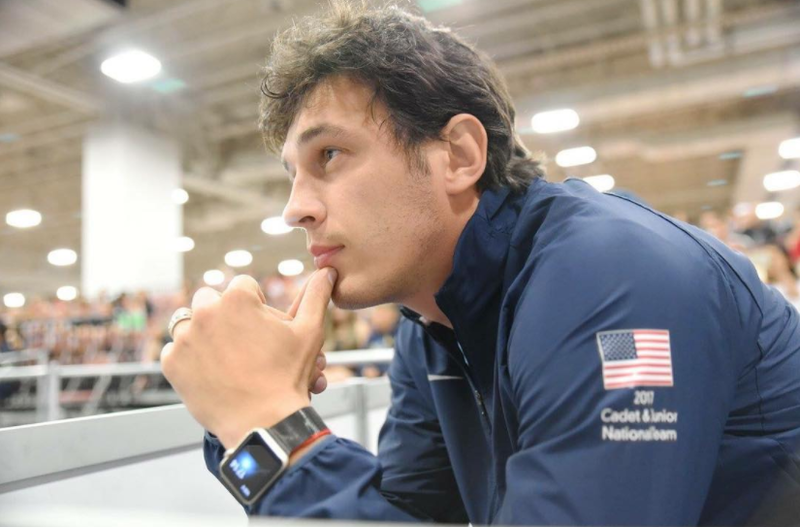 Ian Goldfine – Bronze. 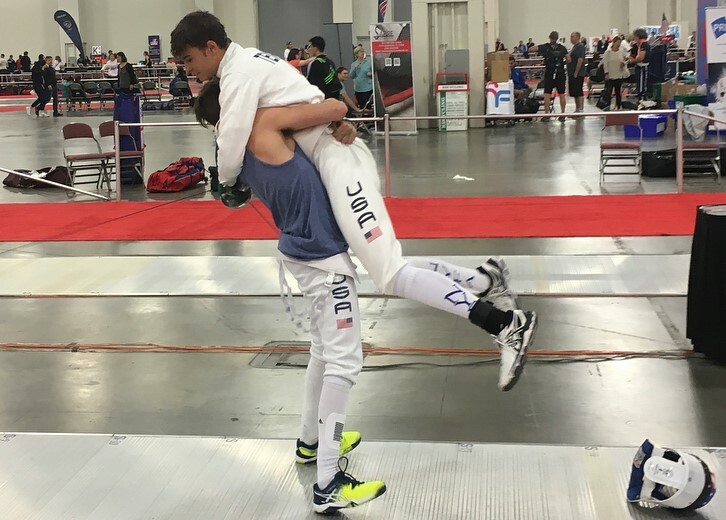 Amazing come back from losing 7-3 in bout for top 8! 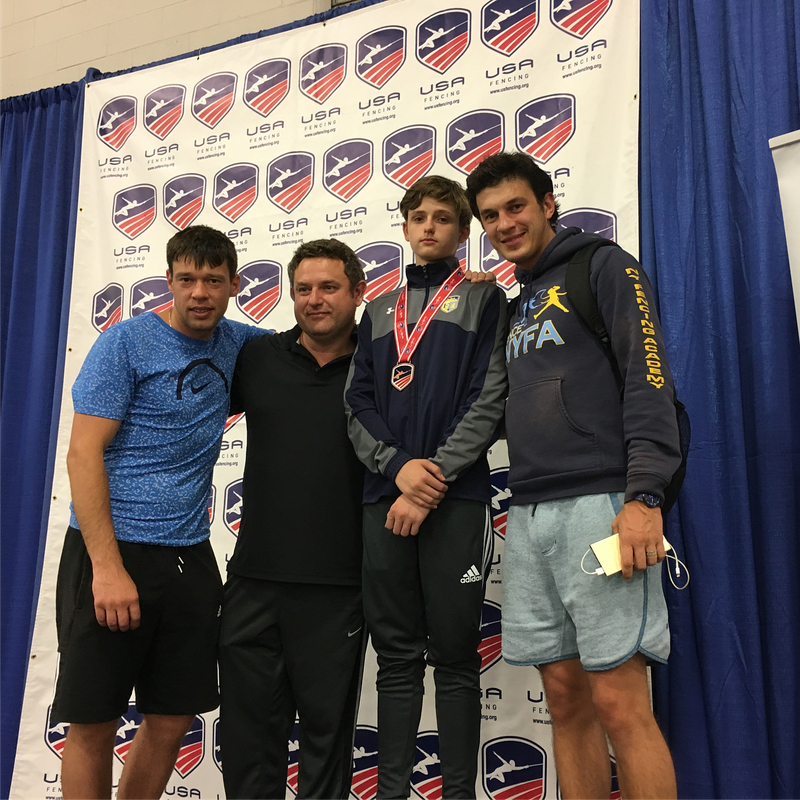 Alan Temiryaev – Gold. 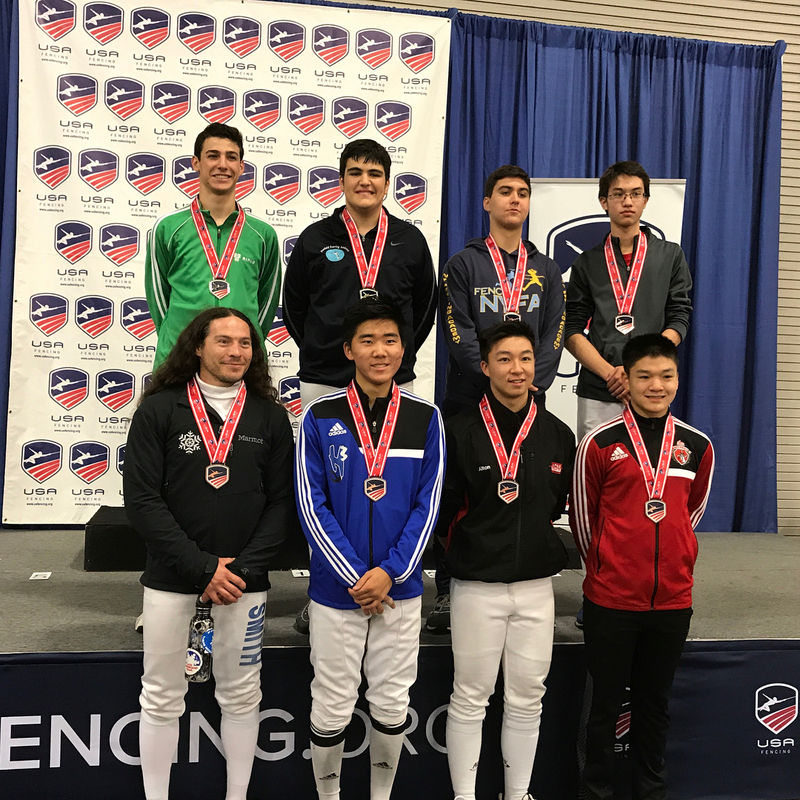 Defended his title, winning 2 years in a row! 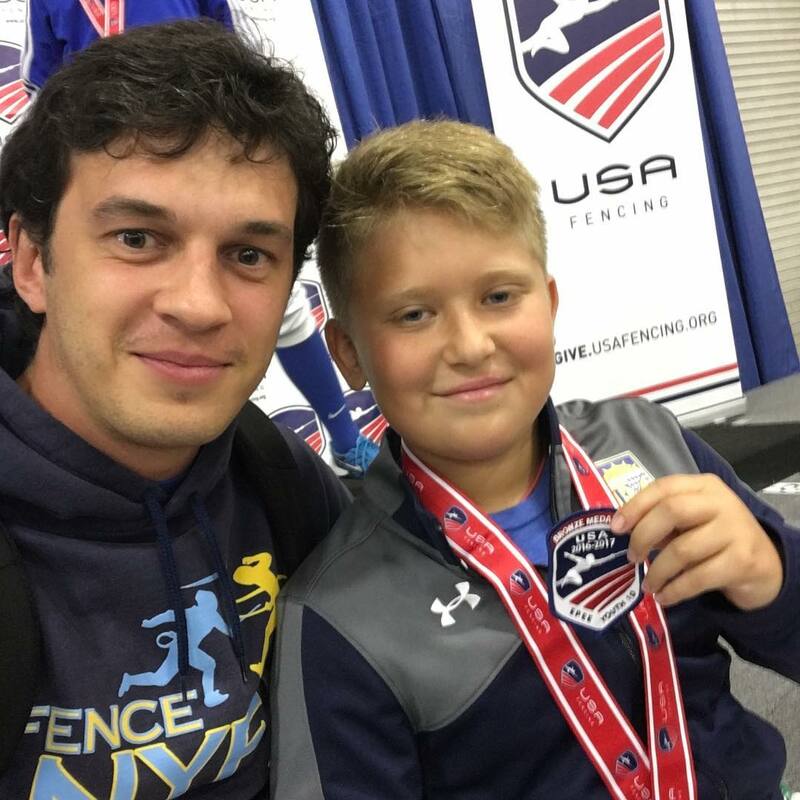 Alan Temiryaev – Bronze. 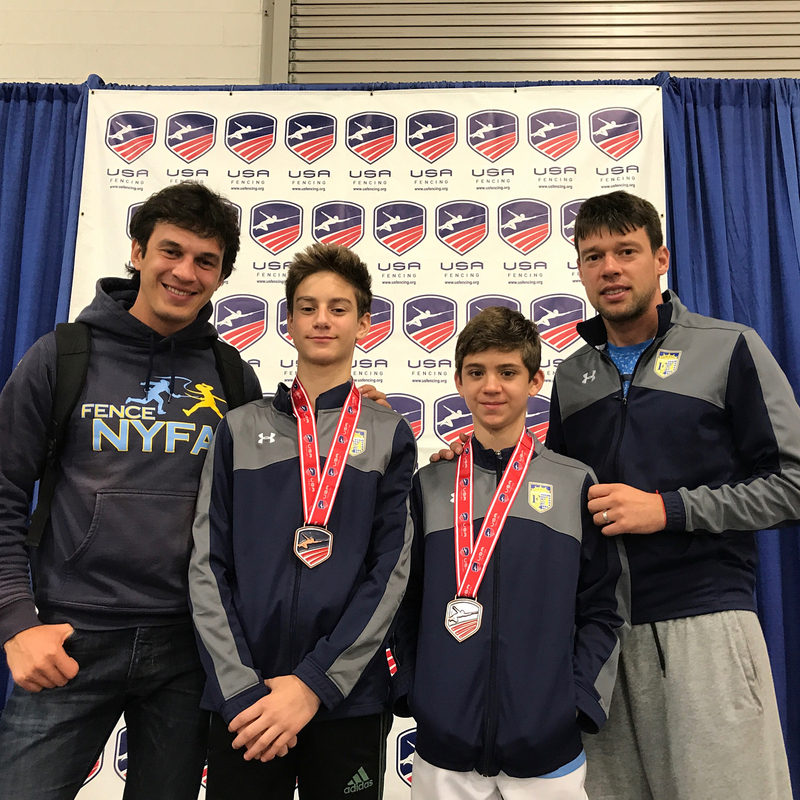 1st day, 1st medal for NYFA! 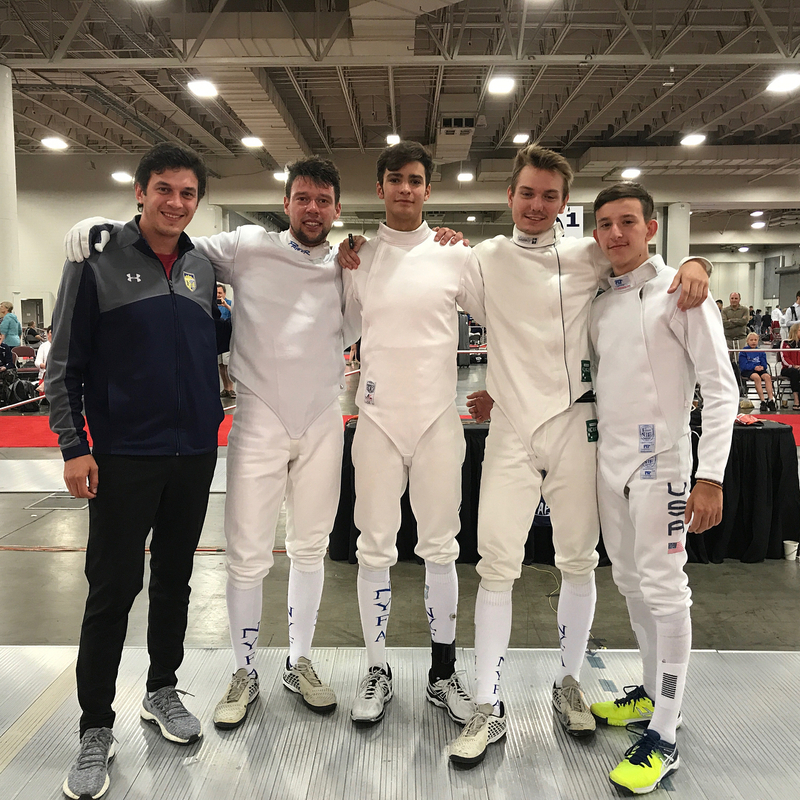 NYFA (Chmut, Ponomarenko, Temiryaev, Vaysberg) – 6th out of 48. 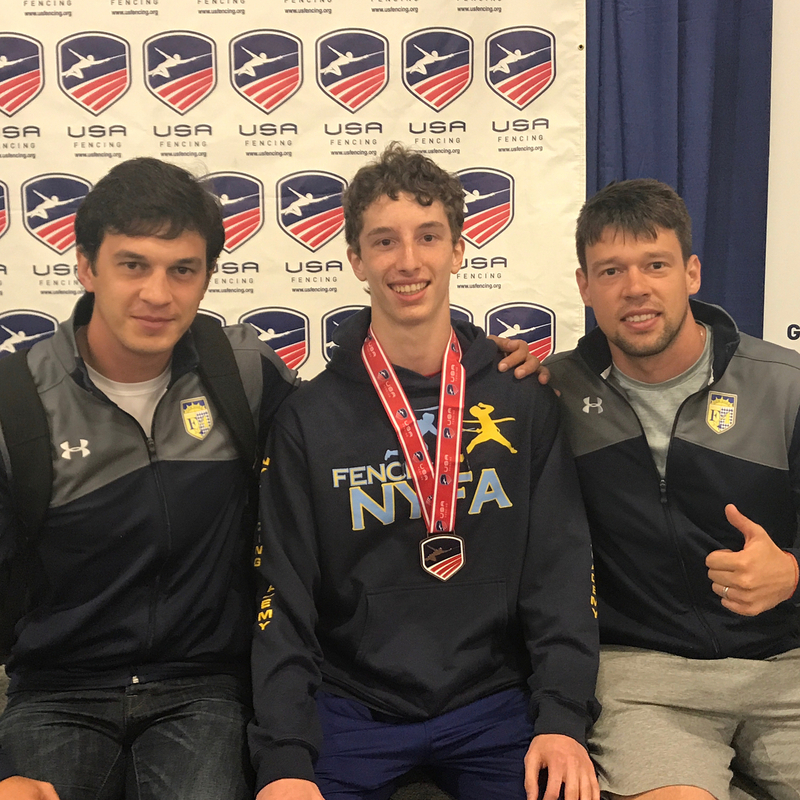 The best senior team result for NYFA so far! 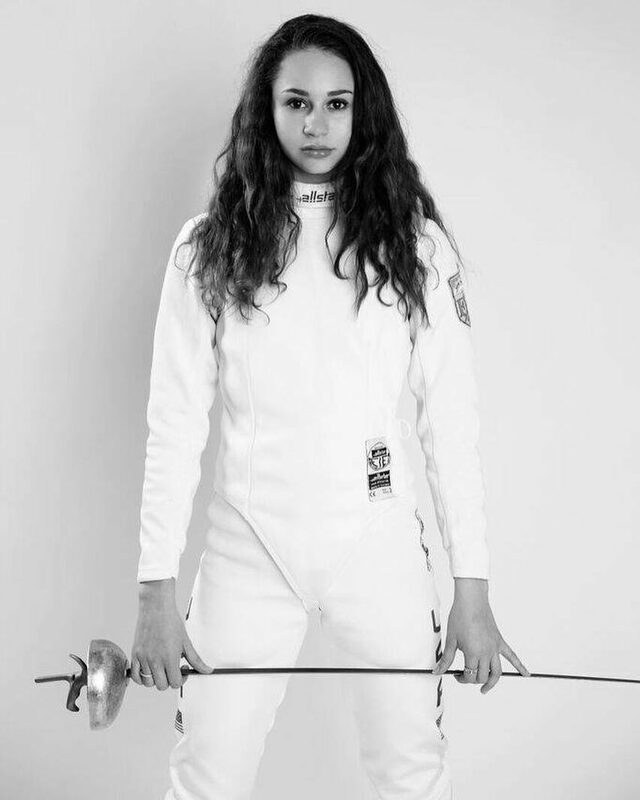 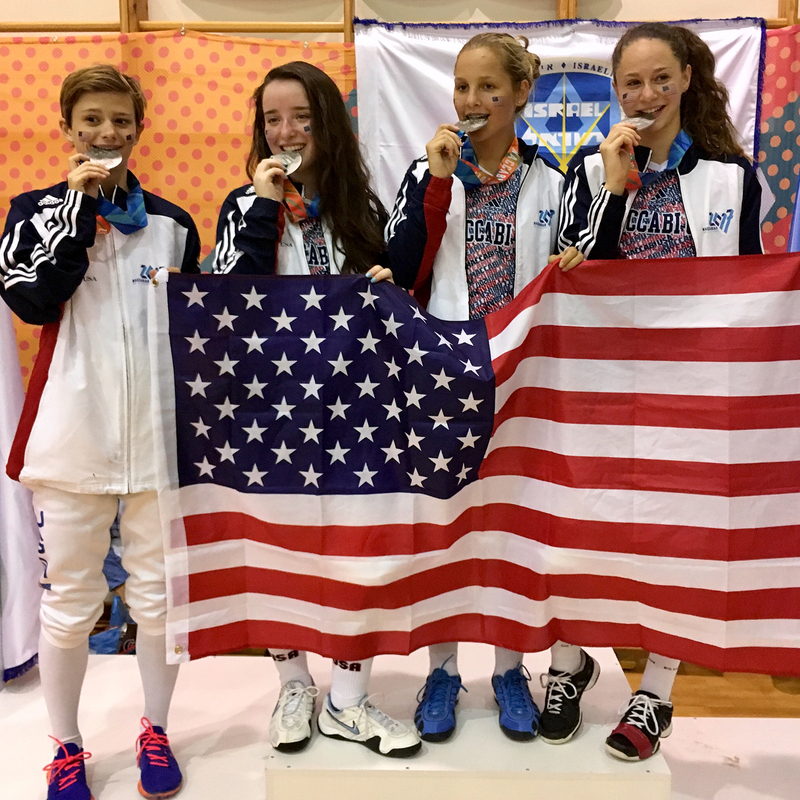 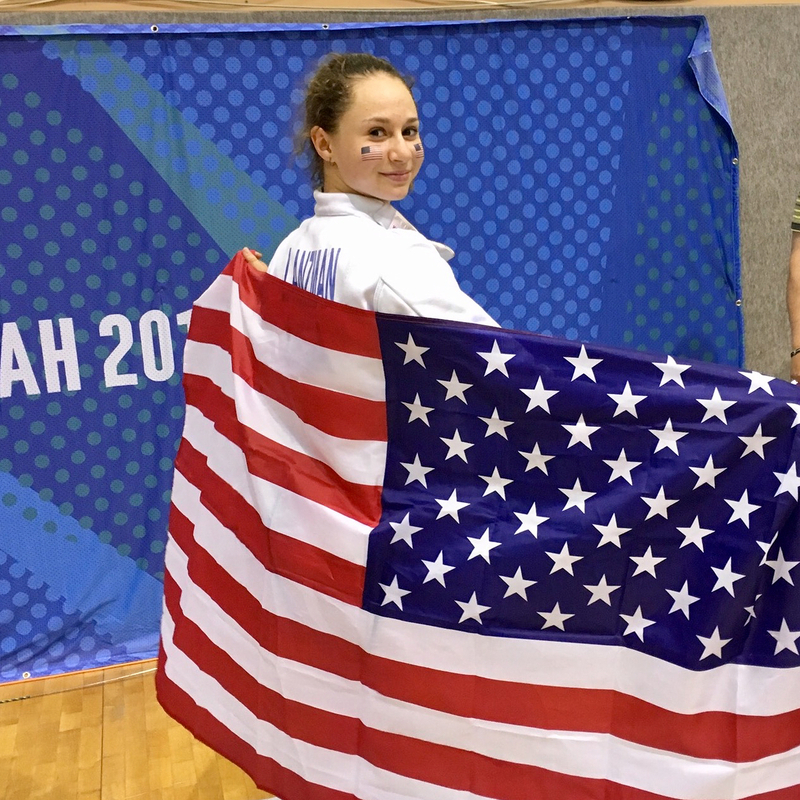 Anna Lanzman – Silver in the Maccabiah Games as anchor for Team USA! 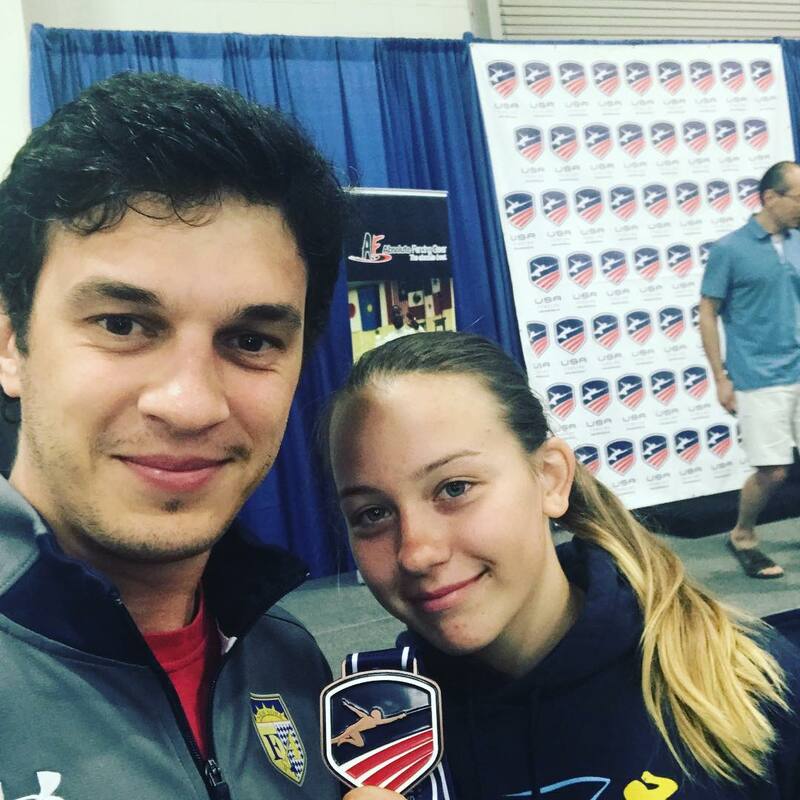 Congratulations and best of luck in college!